His name is Daxter Alabel. And he might just save your life. Daxter doesn't carry business cards and he doesn't have any references available. His employment history, to put it mildly, doesn't inspire much confidence. But when freighter pilot Owl Falcon found himself being bump-tackled, Daxter offered to mediate. Owl had no choice but to trust Daxter. 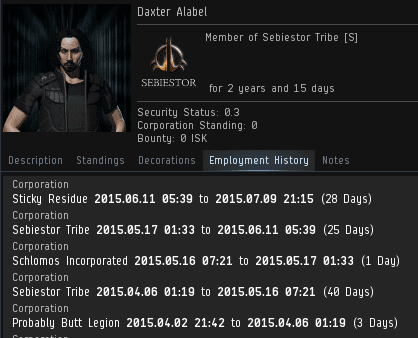 A gank fleet led by Agent Jason Kusion was just minutes away. He was fully prepared to gank Owl's freighter. However, Owl was confident that he could talk his way out of it. 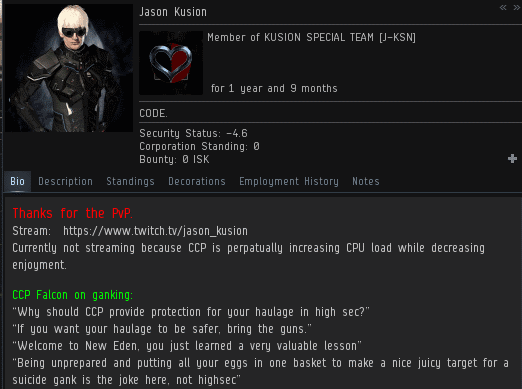 In his years as a freighter ganker, Jason has killed over 17 trillion isk worth of non-compliants. He's seen a lot. But even Jason was unprepared for what happened next. Owl's excuse: He shouldn't be ganked, because his main was a member of The Initiative. alliance. Yes, that The Initiative. 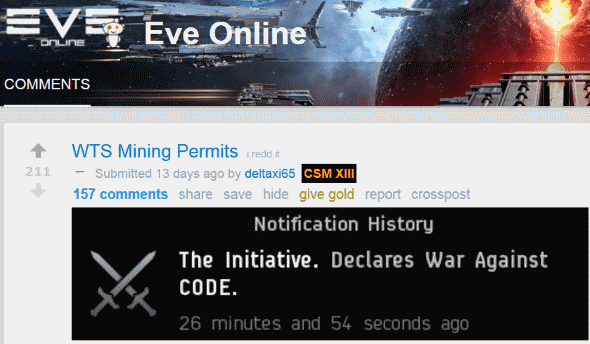 alliance, the one that had just recently made a spectacle of declaring war against the mighty CODE. alliance. Daxter maintained an open line of communication between Owl and the Kusion gank fleet, which was getting ready to undock. He relayed Owl's message to Jason. It was a novel excuse, to be sure: "Don't shoot! We're at war!" As Jason read in MinerBumping the day before, the war had just ended. Regardless of the validity of Owl's excuse, Daxter felt it was important to confirm whether the freighter pilot really was, in fact, an alt of a member of The Initiative. They engaged in some nullspeak. Owl's affiliation with The Initiative. was confirmed. He proved that his main belonged to an alliance that had been a CODE. war target a few days previously. Owl breathed a sigh of relief. 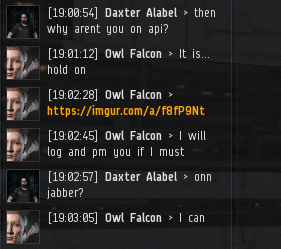 Things were being resolved in the typical nullsec fashion. Fun had been successfully averted. 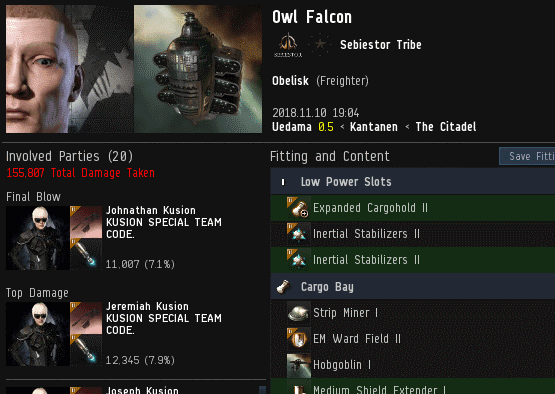 Here's the thing, though: This ain't nullsec. The only diplomacy that matters in Uedama is the absolute law of the Code. 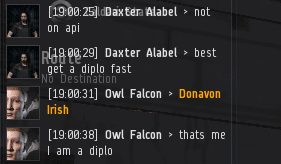 Owl was ganked a few seconds later. What do you know? He was carrying unlicensed mining equipment. 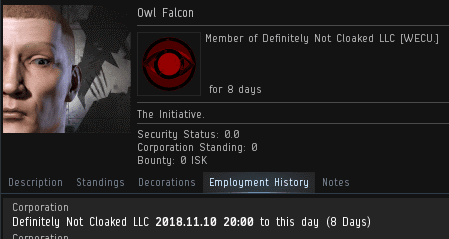 In less than an hour, Owl Falcon officially got his freighter character accepted into The Initiative. Apparently he felt this would help prevent him from getting ganked in the future. He would've been better off buying a permit. It is so good to see people willing to mediate in complex situations like these. Daxter Alabel is a real hero! Incredible! Much obliged for your archives, its been exceptionally useful AZ-201 Braindumps. Much obliged again to share your data.